Hosted by Mitch Stringer, join Art on his many trips around the world—or to his own back yard. With audio recorded on location, gain insight into the concepts and places integral to Art’s workshops, seminars, and other events. Legendary nature photographer, Art Wolfe, explores the visual highlights of Namibia in this episode of ‘Where’s Art?’. The series of short videos, feature a montage of Art’s latest images and insider location advise—a great primer for scouting locations, planning and inspiring your next photographic adventure! Over the course of his 40-year career, photographer Art Wolfe has worked on every continent and in hundreds of locations. Wolfe’s photographs are recognized throughout the world for their mastery of color, composition and perspective. Wolfe’s photographic mission is multi-faceted: art, wildlife advocacy, education, and journalism inform his work. Wolfe is the host of the award-winning television series Art Wolfe’s Travels to the Edge, an intimate and upbeat series that offers insights on nature, culture, and the realm of digital photography. It now airs worldwide. 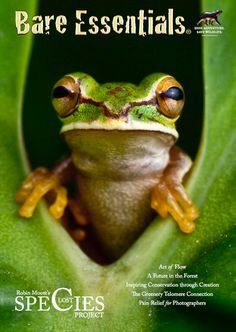 Wolfe has released over eighty books, including Earth Is My Witness, The Art of the Photograph, Vanishing Act, Human Canvas, and The Living Wild. His photos have appeared in magazines worldwide, including National Geographic, Smithsonian, Stern, GEO, and Terre Sauvage. Education is a major component of Wolfe’s work, whether it is about the environment or about photography. He leads photographic tours and gives seminars worldwide. Wolfe maintains his online gallery, stock agency, and production company in Seattle, Washington. Previous post: Miniature Garden Wonders and Giant Ice Monsters!